SAN DIEGO (KGTV) — The Chula Vista Police Department is making sure hundreds of South Bay students have what they need to feel confident this school year. 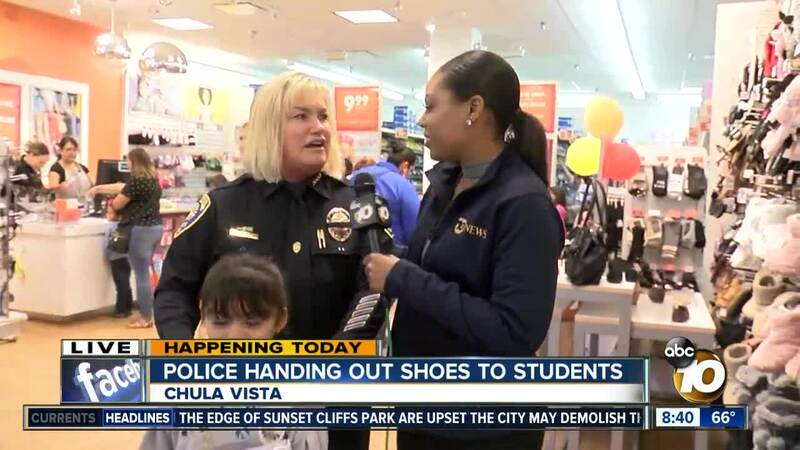 Officers helped students pick out a brand new pair of shoes at their annual School Resource Officer Non-Profit Shoes and Socks Giveaway. This is the eighth year the department has teamed up with Payless Shoe Source at the Chula Vista Shopping Center. With every new school year, some students aren’t as fortunate as others to get new school clothes. Resource officers at different Chula Vista school handpicked students that might be in need. Chula Vista Police Chief Roxana Kennedy says the main focus of the event is to help students focus on their studies in school and less on their attire. “If we can do anything to build their confidence and [for them] to see law enforcement in a different light, we’re all winning in this situation," Kennedy said. 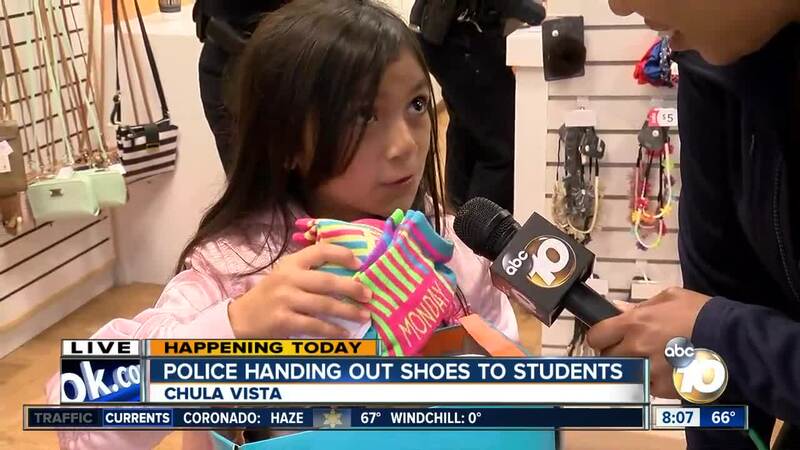 The Chula Vista Police Department was able to gift 475 students with a new pair of shoes. The funds were donated from members of the community.